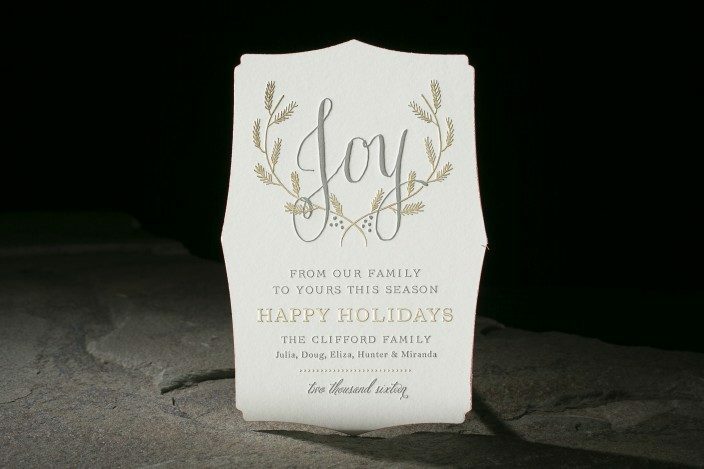 design highlights: silver letterpress paired with gold matte foil up the ante on this traditional die-cut holiday design. edge painted in cherry ink. liner: sherbrooke pattern in cherry ink.